My daughter is what I call a "chocolate hound". She LOVES chocolate, and I swear she can smell it from a mile away... or maybe she just has a seventh sense. A chocolate sense? Is that possible? It doesn't matter if it's dark chocolate, white chocolate, milk chocolate, chocolate with nuts, crunch, or peanut butter. It just doesn't matter. She will devour it all within seconds if you let her. 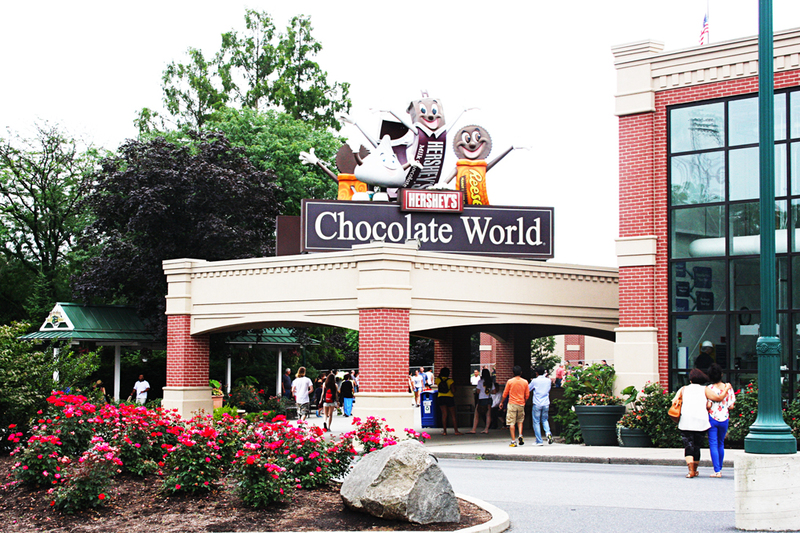 So, what better place is there to bring a chocolate lover than to Hershey?! We had the opportunity to visit Hershey's Chocolate World this past weekend "on assignment". We were given attraction passes to their Hershey's Chocolate Tasting Adventure, Hershey's Great Chocolate Factory Mystery 4D Movie, and Create Your Own Candy Bar. Of course Hershey's Great American Chocolate Tour Ride is always free, so we obviously sneaked that in between the other attractions. I have been to Hershey's Chocolate World at least three times in the past. I went with my parents, my grandparents, and some church group YEARS ago. Those times we didn't do any of the paid attractions, and I can't even say that I remember their existence. The staff at Hershey's Chocolate World is super friendly! Because our tickets were at the Will Call desk, we hadn't set up times to go to the attractions. She was super nice and quickly set up our activities for the day, and even allotted an hour in between the 4D movie and Create Your Own Candy Bar knowing we had little kids. She was right. We were happy to have that extra hour to wander around, do bathroom breaks, and check out the Great American Chocolate Tour Ride. My husband and I commented on how smoothly Hershey's Chocolate World is run. You have to decide on what times you want to do each attraction. This keeps it from getting overly full, and makes sure you get into each attraction at the time you wanted to go. You have a ticket for a specific time, that's when you go. Love it when attractions are organized. There's not real rushing to see which spot in line you can get, and you know that as long as you're there on time for the doors to open, you're in. Awesome! 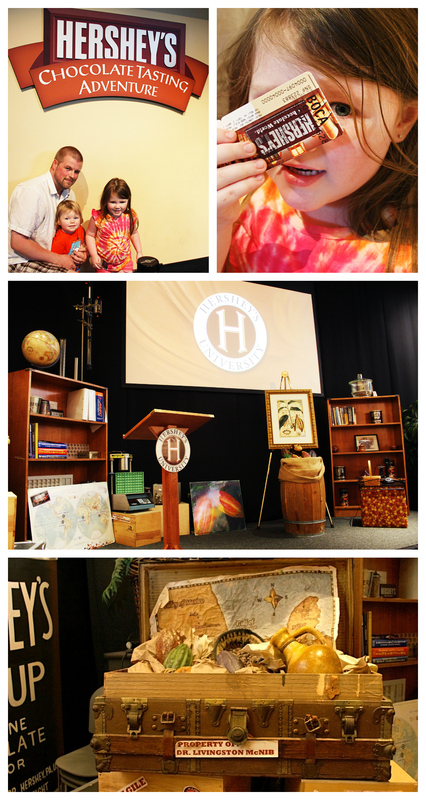 The first thing we did was the Hershey'S Chocolate Tasting Adventure. They suggest you get in line 10 minutes before your time starts, but since we had nothing to do until then, we got in line early. We were the first ones in line which meant we got to sit in the FRONT ROW. That was super cool. My daughter was ridiculously excited, and spent the entire 20 minutes dancing around saying, "Hershey! Hershey! HERSHEY!!!!" The experience was fun, educational, and mildly interactive. 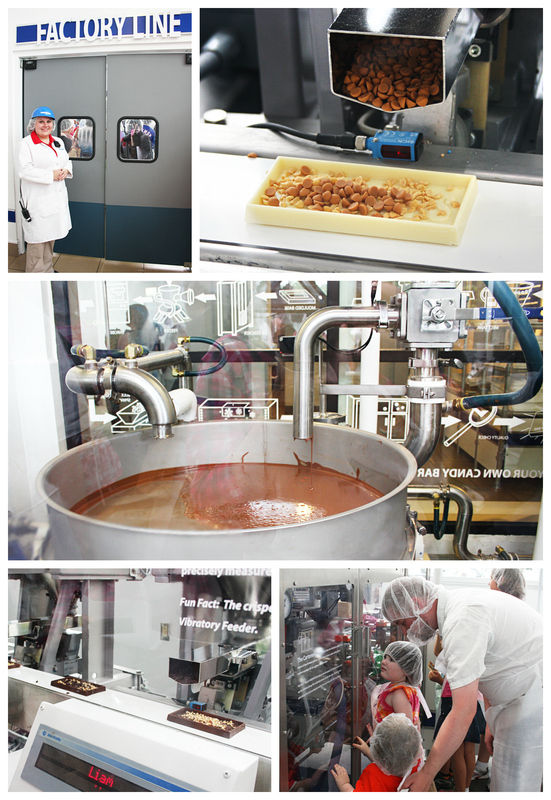 We learned where chocolate comes from, a little bit about how it's made, and how to taste it. They provided five different types of chocolate to taste and a small bottle of water. When the session ends they give everyone a "Master's Certificate" of completion that you can sign and keep as a memento. On your way out, you get a full size candy bar! My daughter got a kick out of answering the "professor's" questions, and constantly raised her hand to talk. After the Hershey's Chocolate Tasting Adventure, we went straight to the Hershey's Great Chocolate Factory Mystery 4D Movie. This was a lot better than I expected it to be. The glasses were of decent quality so they fit nicely on your face. The film was also interactive. While waiting to get in, a woman was asking the crowd some questions. Once the film started, you could tell a live person was actually talking for part of it because it was remembering names of some of the kids who were answering questions out in the lobby. Questions were asked of the crowd, and responding by clapping, or booing, or cheering was also encouraged. The entire film lasted about 30 minutes, and was done really well. It was entertaining, heart warming, and just an overall good time. The best part, it ended with a pop of streamers and bubbles! 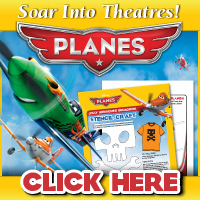 Hubs and I said we'd consider it more of a 3.5D movie instead of a 4D (because the seats didn't actually move), but it was still super fun, and both of the kids loved it. Oh yeah, they also give each person a mini chocolate bar on the way out. When the 4D movie was over we decided to take that hour we were so kindly given to just chill out a bit. We did potty breaks (NICE bathrooms), and took a smoking break outdoors in their designated smoking area. Then we went back in and got in line for the free Hershey's Great American Chocolate Tour Ride. I LOVE that they keep the line moving quickly. The tour only takes about 15 minutes, and it's constantly moving. You do have to be a little careful getting onto the ride because the floor is rotating in a circle as you're walking to the cars. Another nice feature is that the cars are so big, a relatively large group of people can fit in one. A small family or even an average size family doesn't have to be split up. During the ride you get to see some of their machinery in action including parts of the mixing process, and how the Hershey Kisses are made. There's fun music periodically with animatronics. I love that they kind of keep the moving creatures at a decent distance from the cars. My kids normally have issues with big moving robotic animals and people, but because they weren't right in their face, the ride went super smoothly and the kids enjoyed themselves the entire time. When you're done with the ride...along with another mini chocolate bar we were all given. As we were walking out of the ride we ended up with a really pretty birds eye view of the gift shop area. Finally it was time to head over to the Create Your Own Candy Bar attraction. This was the one we were all looking forward to the most. (I still can't bring myself to eat my creation. Just seems too cool to have something relatively unique!) After showing our tickets to make sure we had the correct time, we were given disposable aprons and hair nets. Poor hubs also needed a beard net and I couldn't keep myself from laughing at him. Shortly afterward, we were brought into a room with a bunch of touch screens to start designing our candy bars. First, you get to pick which sort of chocolate you'd like. Then you get to add your inclusions. It looked like the inclusions might change every now and again, but out of the six they were offering that day, you can choose up to three. Then it was time to decide if you wanted sprinkles on the top or not and you were on to the next round. Your tickets have your name on them specifically for this attraction so when you scan your ticket at each station they have your name and can keep your choices organized. Once your bar has been made, it's time to head into another room and scan your ticket once again. This time you're designing your packaging! Put your name on it, different images, select the color you want, and even your text. They've even gone so far as to tell you the percentages of how many people have made the same bar that you have and other various statistics. Once you've designed your packaging, you can walk back in and watching it all happen. There are some lovely employees at the end who finish packaging it inside a nice tin, and put your label on it, and you're ready to head out! This is definitely one of the longer attractions so make sure you're not in a rush to get anywhere when you sign up for your times. 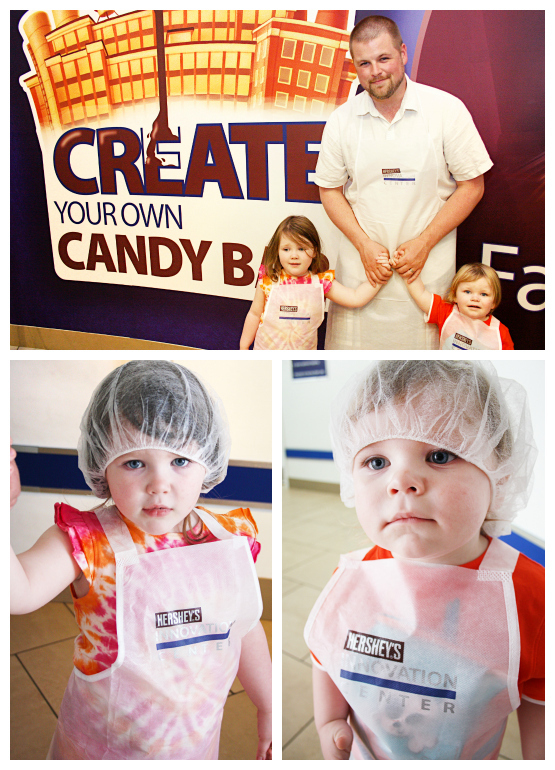 Make sure you find Hershey's Chocolate World on Facebook and Twitter!! *My family and I were provided with complimentary attraction tickets courtesy of Hershey's Chocolate World in order to facilitate this review. All opinions are 100% mine. See Disclosure Policy. 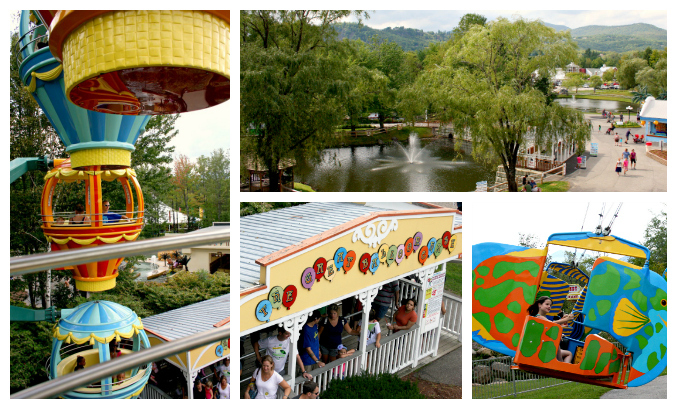 I have a good blogging buddy who lives in Lancaster, PA. She takes her kids to Dutch Wonderland quite often. (They have season passes which are definitely worth it if you live close enough to go multiple times a year. Go at least three times and you've paid for the pass.) She's told me countless times about how much her children love it, and how kid friendly it is. In fact, it's great for the toddlers and the kiddos under the age of 10. Hmmm.... I have a toddler and a kiddo under the age of 10! So, of course I wanted to see what Dutch Wonderland was all about. What kid doesn't love fun?? And for that matter, what kid doesn't like castles, and knights, and queens, and everything royal? 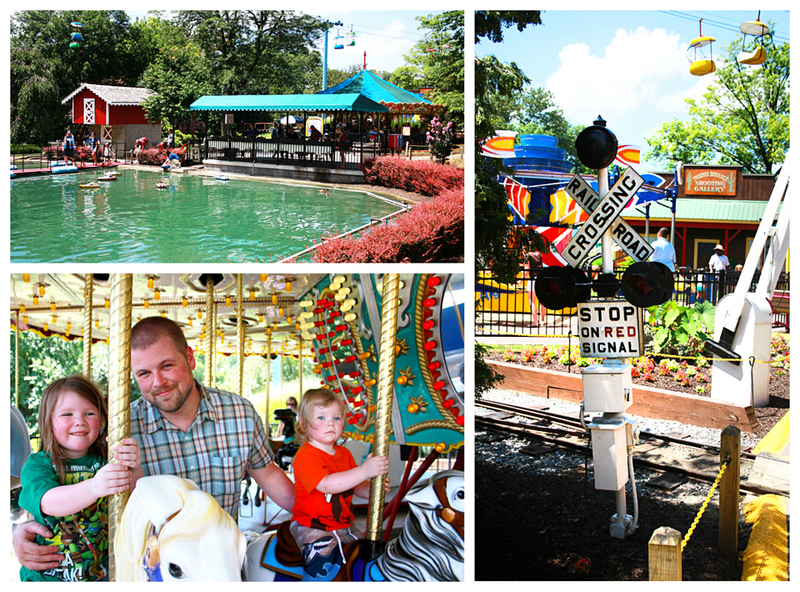 We were lucky enough to visit Dutch Wonderland this past weekend "on assignment". 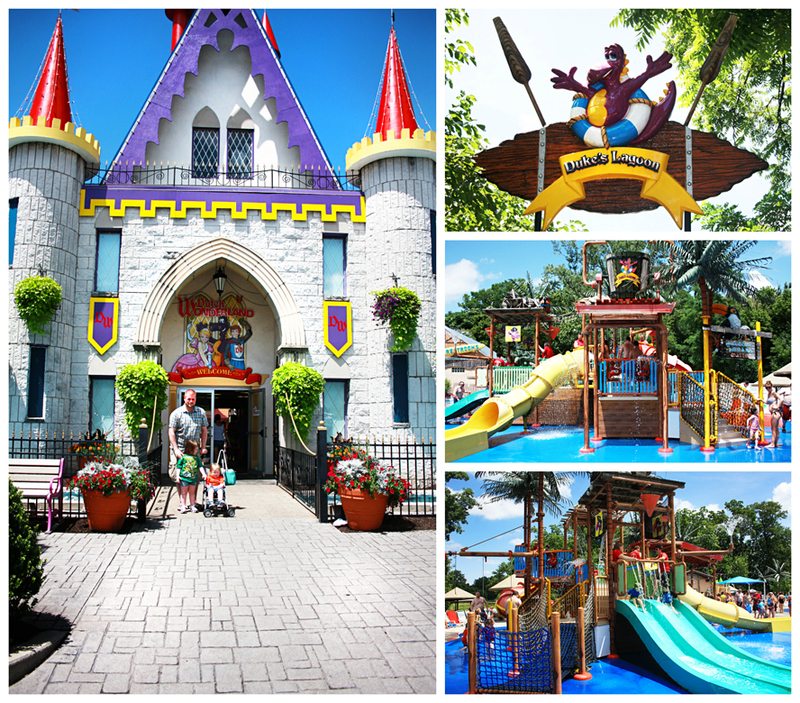 This year Dutch Wonderland, home to Princess Brooke, Duke the Dragon, the Knight of Safety, and Merlin, opened its doors for its 50th season! It's usually a good sign when something is able to stick around for so long. There must be something great about it that keeps the people coming year after year. 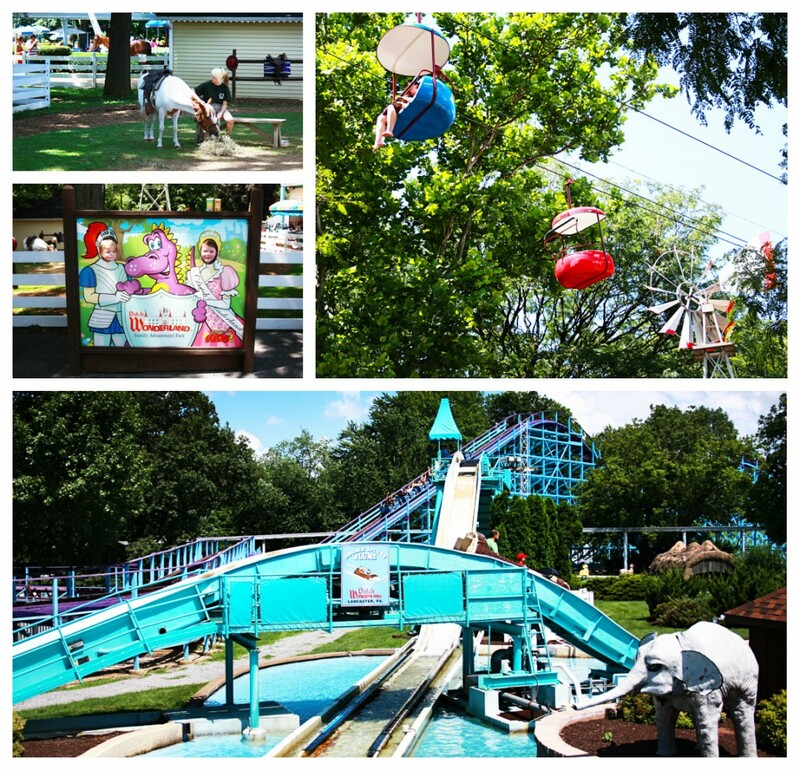 Dutch Wonderland has more than 30 kid-friendly rides (with only 1 that my kids weren't tall enough to ride), several live shows throughout the day, Duke's Lagoon water play zone, and miniature golf. 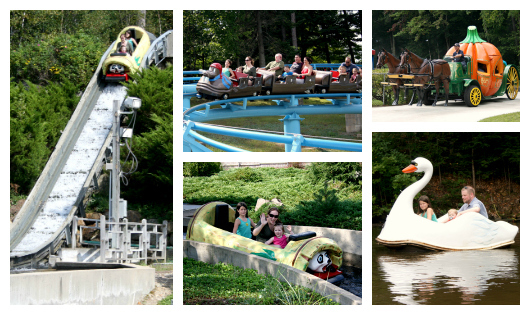 We knew we wanted to go to Duke's Lagoon, and check out the rides. 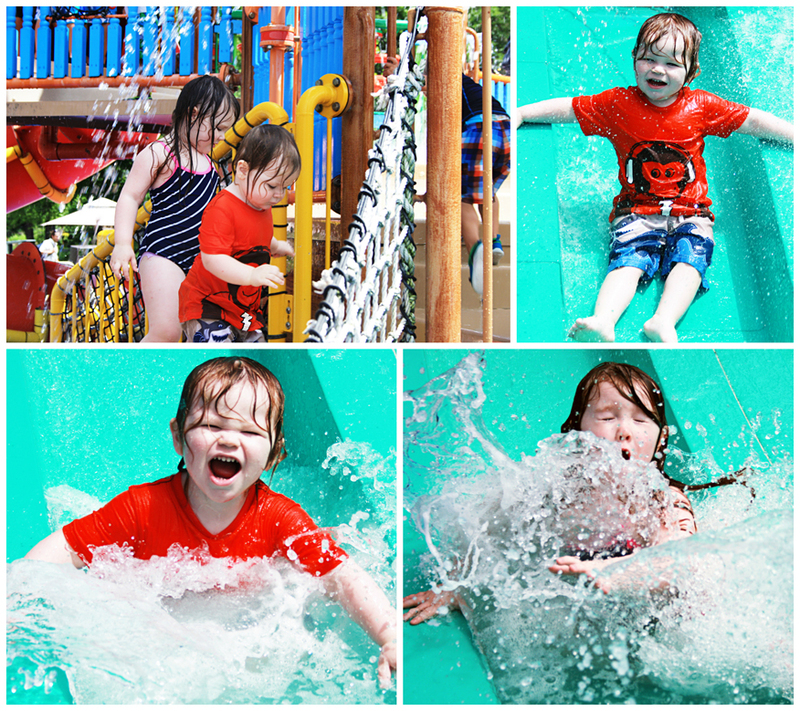 My blogger friend said to do the water play zone first and then eat lunch before exploring the rest of the park... and I can see why. It was already 80ºF by 10am the morning we went, but because we were early enough the water zone was manageable. By the time we left the park, the parking lot was PACKED, but the ride areas still had super small lines. My guess.... everyone was in the water zone. One of the best things about Dutch Wonderland is there many restrooms (that are mostly pretty clean for how many people are using them), affordable single-use lockers ($1 for a small one, and $2 for a large one), and their large changing rooms. We came in bathing suit ready, and dropped our stuff off in a big locker. When we got to Duke's Lagoon we realized there were a ton of lounge chairs too to drop your stuff off at if you don't want to pay for a locker. There was a little sprinkler type playground area, but my kids quickly figured out that there were water slides just a little further in. In addition to the three slides, there are several hoses, and wheels and spouts for the kids to play with. Somehow I managed to keep my camera dry, but let's just say it was a little touch and go for a bit. SO. MUCH. WATER! 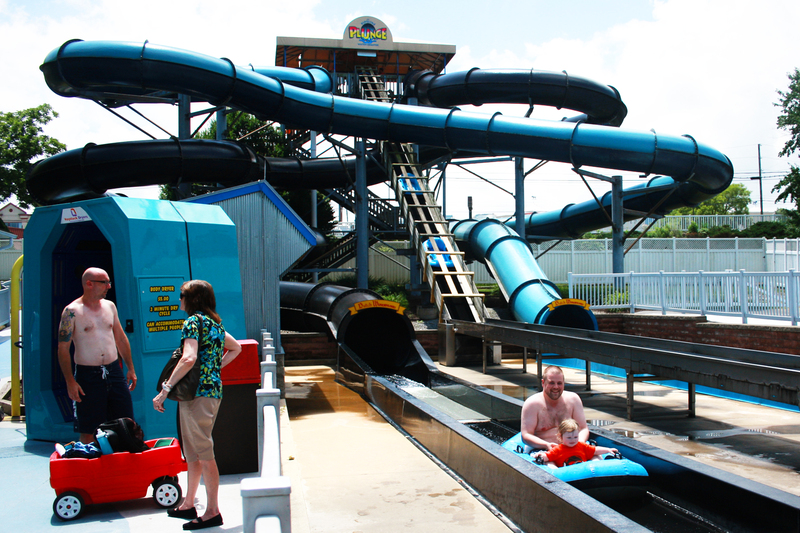 Duke's Lagoon also has two HUGE slides. One is blue that allows light in, and the other is black so you go down almost the entire way in complete darkness. We took the kids on the black one because the line was a little shorter and we needed to get a move on so we could do more stuff. The only kids not allowed on the ride were hand-held infants. As long as your raft weighs at minimum of 90lbs and doesn't exceed 350lbs you're good to go! Hubby took the little guy, and I went with my daughter. Neither kid screamed, and they just giggled and laughed the entire way down. They're a bunch of brave little troopers. When we were finished splashing around in Duke's Lagoon, we decided to change into dryer clothes and head back to the car for lunch. There are PLENTY of places to eat IN Dutch Wonderland, but we had packed a lunch. Unfortunately you're not allowed to bring food inside, and they do check your bags as you're walking in. That's kind of a bummer, especially if you end up in a less than awesome parking space. (There is preferred parking for $10. The rest is free.) They DO provide shaded eating areas outside, but it was so hot, we decided to sit in the AC to eat. When you leave Dutch Wonderland, if you're planning on coming back that day you need to get your hand stamped for re-entry. Because our kids were getting tired, and the thermostat in the car was reading 100ºF, we decided to take our time, stay in the shade as much as possible, and only go on some of our choice rides. There was plenty to do and see but we knew we'd have a couple hour drive home, and the heat was just a little too much for us. The Dutch Wonderland grounds are beautiful! 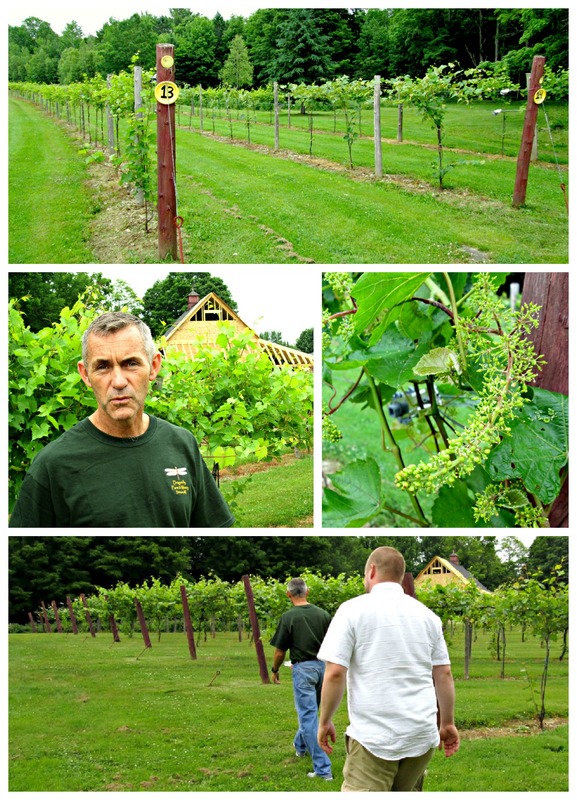 They are really well maintained and the landscaping is eye catching. Even some ducks enjoyed a dip in one of the ponds. There is a little train attraction goers can hop on that goes around the park grounds. It looked super cute, but we ended up bypassing that due to lack of time. We decided to go for a quick ride on the carousel. Yes. Mommy also rode one of the carousel horses. One neat service Dutch Wonderland offers is on-site photographers. 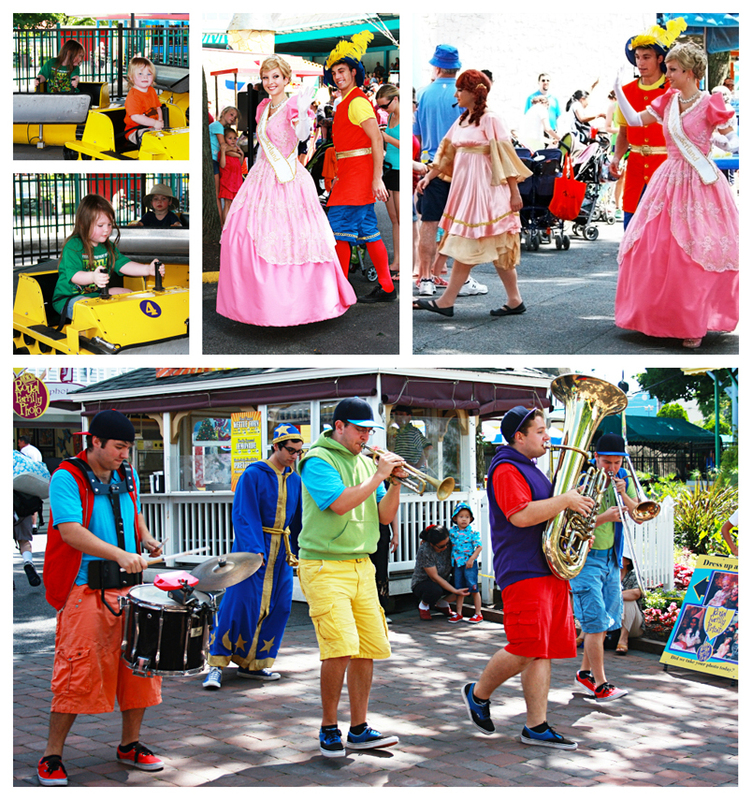 They'll walk around at certain rides and asd if you'd like a picture taken. Within about an hour you can go pick it up somewhere. Yes... you have to pay for it. I think it's nice for those people who forgot cameras, but for people like me who always have one on them, it's a service I'll always bypass. Like I said, we decided to bypass some rides that had lines directly under the sun. But there were several more things we could have done. We did go on The Joust mini-roller coaster. Hubby um... was a little big for it, but the kids loved it. My son JUST made the height requirement (36") but he loved it. We were one of two families on it. I think we probably could have stayed on for another go-around if we had the time. We could have done that with several other rides as well. Dutch Wonderland also offered pony rides (but I think perhaps you might have needed to pay). There was also face painting, caricatures, some gem stone mining thingy, however those were all additional costs so we bypassed those as well. Cute, but not money we wanted to spend. We did enjoy the log flume ride! Kids got a kick out of it and I think we were all grateful to get splashed a bit and cool off. We wanted to go on the ski lift that takes you back down to the front of the park, but we would of had to leave our stroller and either walk back to get it, or hope the line wasn't very long and hop back on.... and then walk all the way back to the front of the park again. So, we skipped that as well. We REALLY wanted to go on the bigger roller coaster, but my son definitely wasn't big enough, and my daughter missed the height cutoff by about a quarter of an inch. Looked super fun though! As we were walking our way back through the park to start our trek back home, we happened to see Princess Brook and some of her royal comrades! They were rushing to get to their next Princess Story Time show. We also found Merlin dancing along with a band that was dancing to their music and entertaining the crowd that had gathered. That was the perfect way to end our day! Now I know why my friend has season passes for her kiddos to Dutch Wonderland! This place was perfect for little kids, and SO much fun. Duke's Lagoon I think was our favorite part overall, but we enjoyed every part of it. It was laid out well, there were plenty of things to do, and you could always find some shade when you needed it. If we lived closer I'd definitely spring for the season passes and take my kids as often as possible. I also forgot to mention that kids 2 and under (Royalty in Training) get in FREE, seniors are discounted, and adults over the age of 70 also get an additional discount. Super family friendly, bright, cheery, friendly, CLEAN, and just an overall good time. My husband and I said this had been one of our best weekend trips away from home. Everyone had a blast! Make sure you also find Dutch Wonderland on Facebook and Twitter! *I was provided entry free of charge for myself and my family by Dutch Wonderland in order to facilitate this review. All opinions are 100% mine. See Disclosure Policy. I tell my husband every day that I love that we moved away from Maine. 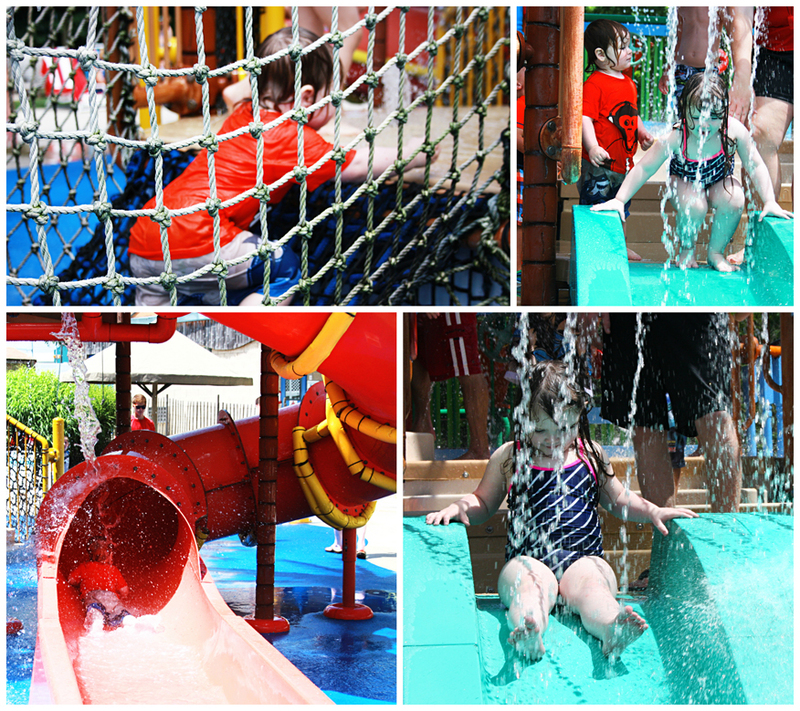 There are SO many cool things to do within a couple of hours of us, we've packed our summer full with things to do with the kiddos. Most recently, we were given the opportunity to check out and review Ripley's Believe It Or Not! Odditorium in Baltimore, Maryland. I have always been a HUGE Ripley's fan and used to watch the show religiously as a kid. Turns out, we're less than 50 miles away so that made for a relatively quick trip. Awesome! 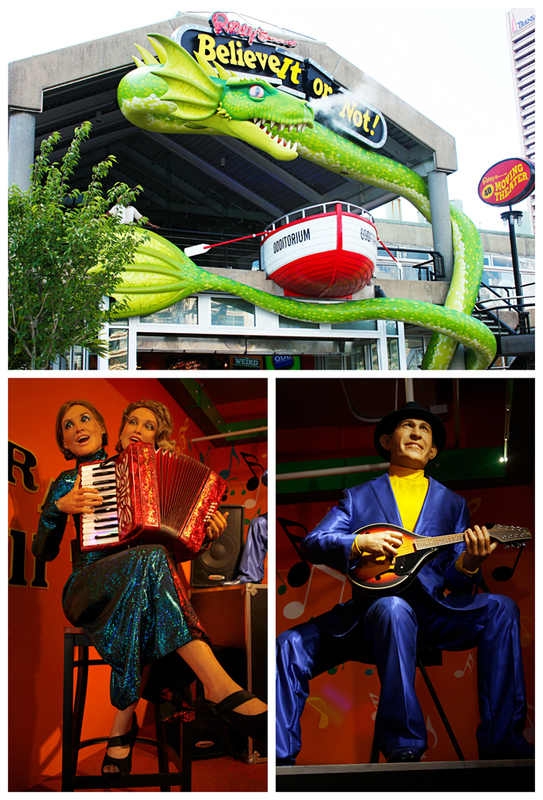 The Ripley's Odditorium is located right in Baltimore's Inner Harbor. The location was absolutely beautiful. So, if you're just coming in for the day, definitely make sure you do a little walking around as well. The great part is that Ripley's is open 365 days a year and they're open late. There is a LOT of parking surrounding the area, but none specifically designated for Ripley's so make sure you budget about $25 unless you go during the times where the parking garages offer discounts for Ripley's goers. Right away Ripley's greets you with a bunch of odd. The opening to the Odditorium is quite large, which is great since when we arrived they were starting to get very busy. 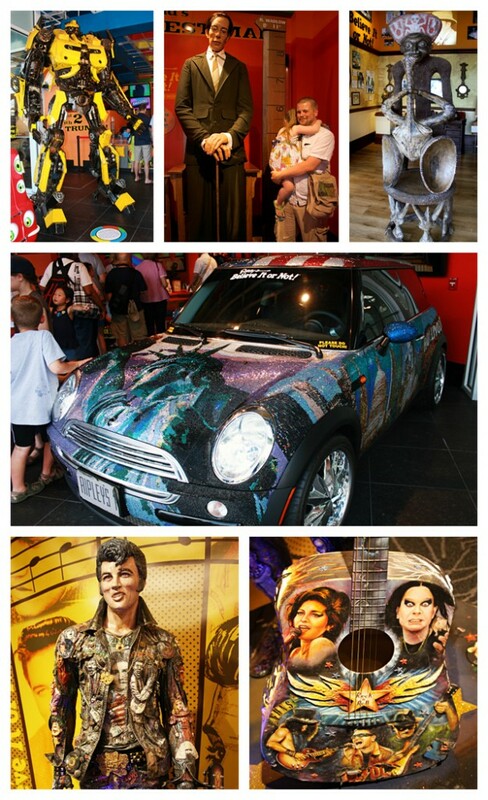 So, everyone congregates at the entrance where you can ooooh and aaaaah over a Mini Cooper covered in Swarovsky Crystals, a wall of soda cans that make a portrait of Michael Jackson the "King of Pop" (get it), and Bumblebee the Transformer. There are also some animatronics playing instruments including a two-headed woman, and a three-legged man. Then there's the big one. And, by that I mean an animatronic of the World's Largest Man. (My daughter was terrified of it unfortunately and that kind of set her mood for the rest of the time we were there.) When you're done with the first floor, it's time to head upstairs. The stairs are actually really pretty neat. Each step up is a new musical note. My daughter LOVED this part. Usually anything with music and you've caught her full attention. When you head upstairs the first gallery you step into is the Ripley's Gallery. This gallery has some really neat items including various swords, a collection of royal crowns and tiaras (oooooh shiney! ), African masks, and so many other neat artifacts. The ONE thing I didn't really care for was that you have to pay for each individual attraction at Ripley's. So, you can JUST go to the Odditorium, or you can pay to go to only two of the attractions, or you can pay to go to the Odditorium, Mirror Maze, and the 4D Theater. Personally I think one ticket should get you in to all three attractions especially given the price. However, if you are vacationing, or want to just plan a fun weekend, Ripley's should be on your "must see" list. Also, make sure to buy your tickets online and print them (or they can print them for you). You'll save BIG bucks! 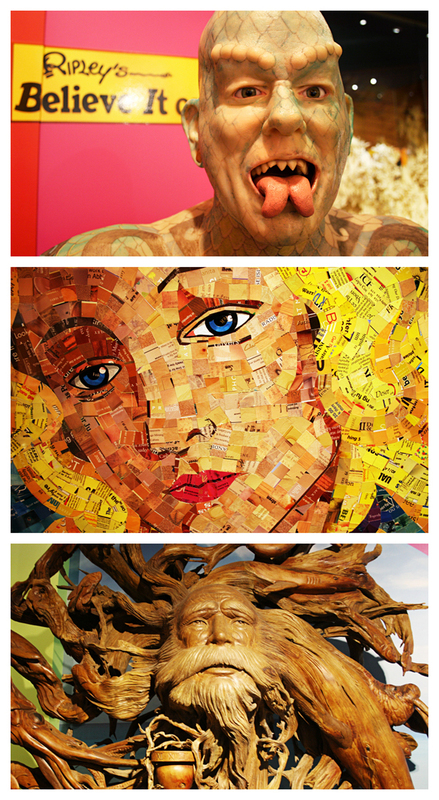 My absolute favorite gallery in the Odditorium was the Weird Art Gallery. There were so many incredibly unique pieces of art that it was difficult to even wrap my head around it all. There were portraits of the Clintons drawn with hamburger grease, a giant penny made from thousands upon thousands of other normal size pennies, the world's largest piece of lint art, and a breath taking sculpture made from drift wood. I think some of my favorite pieces included a "painting" made from old mail, and a really strange human hair wreath sculpture. Oh! And the most intricate carving I have ever seen made with bone. A more kid friendly gallery is the Interactives Gallery. There are lots of buttons for the kids to push that light up or make sounds. It's a little quieter than the first couple of galleries that have music blasting. The Warehouse Gallery was also pretty neat. Unfortunately my camera kind of crapped out on me and I couldn't get any photos in the dim light that weren't blurry. Urgh. But, you can head over to the Ripley's site and check out their own photos they took. There was a gigantic pop tart foil T-Rex just hanging out, but the thing that my daughter loved the most was this interactive projector that would put a game onto the floor and you play it with your feet. She did this for about 10 minutes and made some friends in the process. Super cool. And, before leaving the warehouse you get to step through a human size kaleidoscope. The lights and the mirrors were pretty nifty. 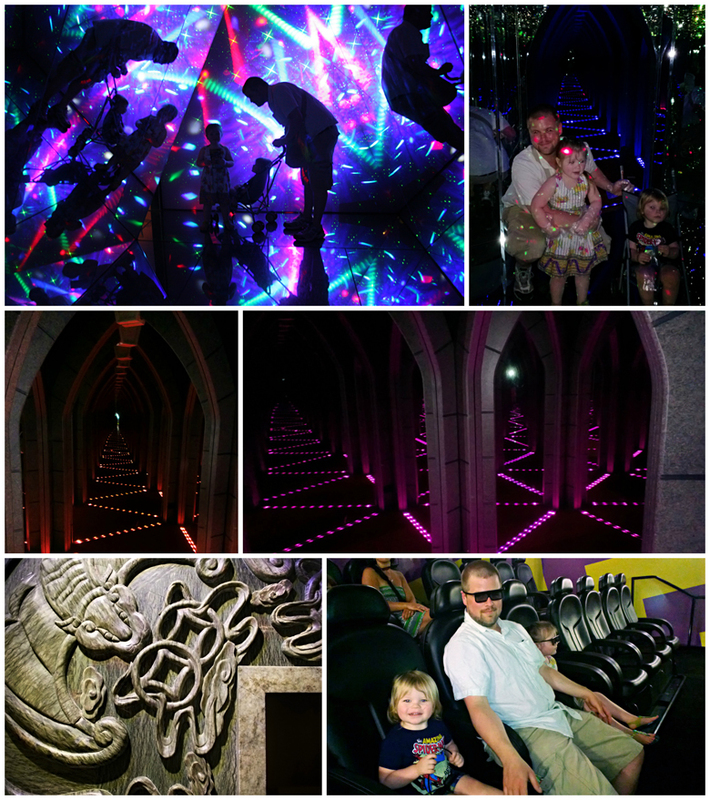 After visiting the rest of the galleries including the Toothpick City (which has tunnels for the kids to crawl through), Ripley's Vault (that has a HUGE carved piece of Jade you can touch for good luck), and the Egyptian Gallery, we made our way to the Marvelous Mirror Maze. There are more than 100 mirrors all lit by LED lights with your experience accompanied by digital sound. Before entering you're asked to put on plastic gloves and you're told to walk with your hands in front of you. My husband kind of used the stroller for that instead, and he definitely bumped it around. The maze was so much fun that we went through for a second turn. There is a huge mirrored room as you near the end of the maze that is absolutely gorgeous. It was fun to just stand in there and look around at all of the mirrors. It was like glow bugs were lighting up the night sky. Absolutely spectacular to see. Finally we went to the 4D Moving Theater. The room was smaller than I thought, but that's kind of nice if you have kids. We had a place near the front to leave our stroller during the show. And, while the show isn't probably more than 20 minutes total, if that, there were two different "movies to experience and it was definitely fun. Snow goes flying, the seats jerk around, things brush by your feet, and misty air blasts into your face. They really need to up the quality of the 3D glasses they use because they don't really fit your face well, and the plastic lenses are kind of cheap, but otherwise, we had a great time! Make sure you check out Ripley's Believe It Or Not! Online, on Facebook, and on Twitter. I was provided tickets free of charge by Ripley's Believe It Or Not! 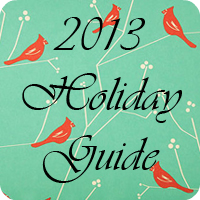 through US Family Guide Bloggers in order to facilitate this review. All opinions are 100% mine. See Disclosure Policy. I hate to admit this, but my family and I have NEVER been to an amusement park together. 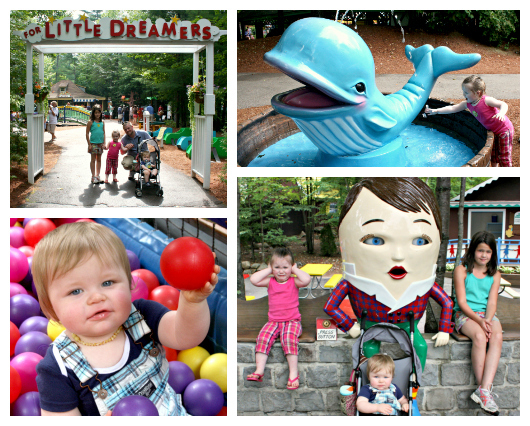 Sadly, trips like that are never in our budget, but when I was given the opportunity to take my children to Story Land in Glen, NH for a review, I couldn't believe it. Talk about exciting! We decided instead of packing up 3 kids and driving the 7 hour round trip in a single day, we'd also go camping for two nights. The entire trip was made possible by US Family Guide, LightSpeed Outdoors, and Polar Bear Coolers - and I couldn't be more grateful. We left our camp site in Maine around 9am, and would have been to the park by 10am, however we managed to run into some heavy traffic and needed to detour because of some Mud Fest. I have no idea what that is, but apparently it's way more important than getting my kids to Story Land. When we got there everyone was a bit grumpy due to the prolonged car ride. We were hungry, and still tired from unpacking and swimming the day before, so our first few photo opps did not go so well. Anybody else know what I'm talking about? You're SO excited to see your kids having fun and all they want to do is whine and cry and make faces at the camera. After the mandatory restroom break, we stopped to see Curious George who was helping promote an Autism Awareness Campaign, and the Little Old Woman Who Lived In A Shoe who gave all of the kids stickers. Then of course we had to do the obligatory Humpty Dumpty photo. Can you tell how NOT impressed my kids are at this point? (My daughter didn't like that his eyes moved and the sounds. She's a little bit of a weirdo.) We also stopped by the "For Little Dreamers" area which is a great place for infants and toddlers. They had a small ball pit for my son, and a bigger one for my daughter - which she refused to get out of until I had to dive in after her. She hadn't quite mastered the concept of an amusement park. But, once she realized that, "OMG THERE'S MORE STUFF TO DO!" she quickly caught on. Next we had to learn how to master the art of waiting in line. Go ahead. Laugh all you want. But let me just say I was never so happy to be surrounded by other parents whose children were also wanting to nap, eat, get up and run, and hate life at any given point their parents uttered the word "no". One of the biggest reasons why I was super excited for the chance to go to Story Land is that they are VERY kid friendly. My two children are ages 1 and (almost) 3, and I have a 10 year old step-daughter. While I think Story Land is more for children ages 2-6, all of the rides (that I could tell) were great for children of all ages, with a few exclusions. Some of the rides had a 36 inch height minimum, and that worked out really well for my 2 year old who happens to be a 38" giant. Several of the rides were infant friendly, and "toddler" friendly which meant my 1 year old could go on either. My son could have even ridden the Turtle Twirl (aka the Tilt-A-Whirl), although as a slightly over-protective mother that made me a bit nervous and we decided to bypass that ride for him. My daughter and step-daughter went on it though, and had a blast! The only ride that I went on that I found to be slightly disappointing was Cinderella's Pumpkin Carriage. It takes riders up to the castle but then drops you off. It's only one way. Which happened to work out fine for us because there wasn't a line to ride the carriage back down. The only problem I had was that we had to wait 20+ minutes just to ride up to the castle in the first place, and we had to leave our stroller and cooler down where we hopped on. We had planned to walk back down, but like I said we lucked out and there wasn't a line. The other bummer about that was that there is only one princess and she doesn't stay in the castle, but does Tea Parties and shows at different areas of the park. I wanted to get a picture of the kids sitting on the thrones in the castle, but I managed to bash my daughter in the head with my DSLR, and that lead to crying, and so we just rushed away to find something else to do. Like, eat. The ride that made up for the really long wait was the Bamboo Chutes log flume. The ride just doesn't stop. People are always getting on and off so the line goes by REALLY quickly. We were able to ride it twice within 15 minutes. We did also visit Story Land after Labor Day which is when their season really starts to wind down, so I'm sure we lucked out with wait times due timing our visit after the big Summer rush. Story Land has a LOT of food places, and stores if you want to pick up some souvenirs. We decided not to go that route, just because we didn't really have the extra money to spend, but our kids had so much fun regardless. They had face painting (and boy did they do a nice job on the kids I saw walking around), and a cute little dress up/costume shop. There was plenty of shade, and bonus for my husband (and me shhhh) they had designated smoking areas. We were at Story Land 6 hours and we still didn't have enough time to do everything. We didn't even have time to see a single show. That place is HUGE, and well worth the $28 it costs per person to get in. Plus, children ages 2 and under get in FREE! The two small conveniences I really loved was all of the "stroller parking", and the mom designated bathrooms/changing rooms. And everything was CLEAN. 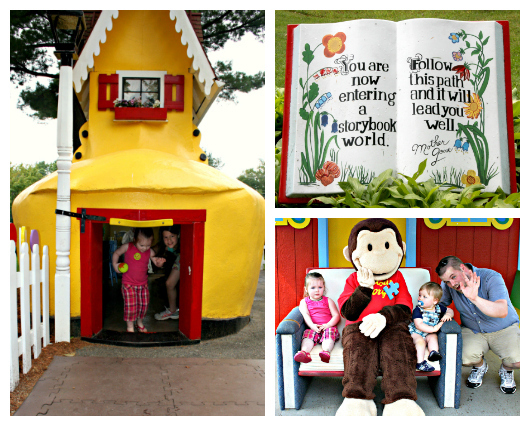 Story Land was a great experience for our entire family, and is definitely the perfect beginner theme park for small children. If we ever have the chance to go back again, we definitely will! *My family and I were provided tickets free of charge thanks to US Family Guide and Story Land in order to facilitate this review. All opinions are 100% mine. See Disclosure Policy.